Code : EU300 10 Item(s) Available. NOTE: • In above Photo, ET-800 – Traction Head (Unit) is OPTIONAL. • The ET800 is NOT INCLUDED in the package and has to be purchased separately. 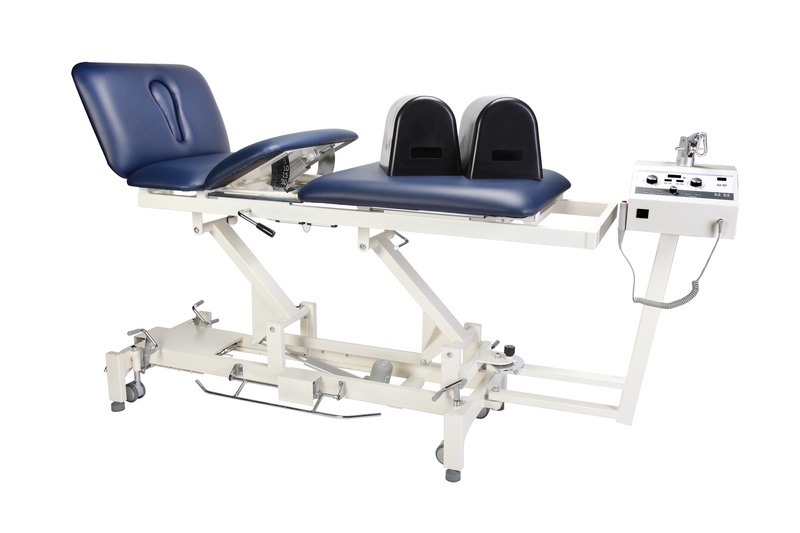 EU300 Traçion® is the ultimate Traction Table for all Traction Needs – Lumbar Traction and Cervical Traction (with the Optional CT850 Cervical Traction Unit). EU300 Traçion® is the equipment used by physiotherapists for Traction and Decompression therapy and help to treat patients suffering with pain and limited function due to lower back and neck conditions. In terms of its comfortability, mechanical stability and operational movement, it is one of the best amongst its competitors. The EU300 Traçion® is best equipped with 3 Sides Elevating Bars (3S-UAD-Bar) however (1) Foot Control and (2) Hand Control are also available for different control requirements. 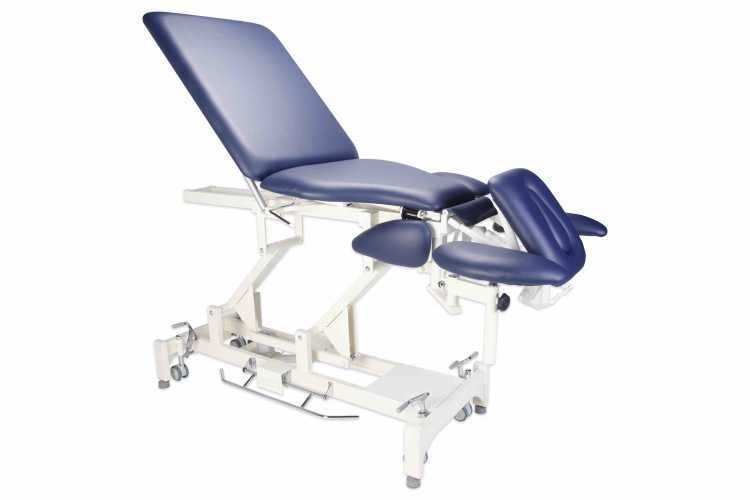 The EU300 Traçion® is equipped with the ALL NEW "Center Arching Mechanism" for Motorized LUMBAR ELEVATION. 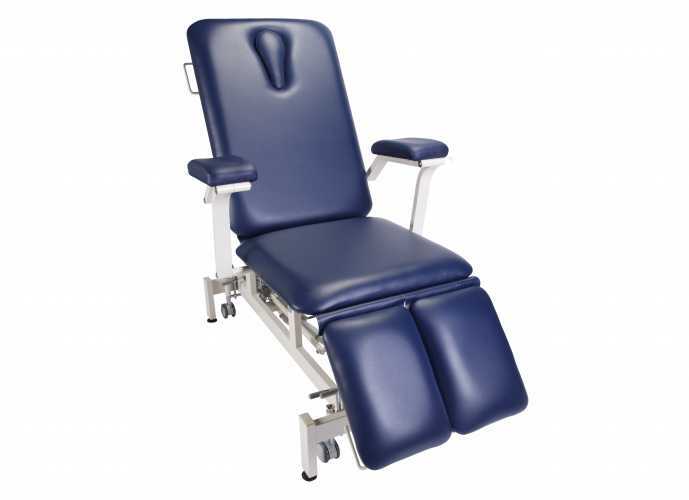 This facilitates any pulling traction force on the lumbar area with a slight upward lifting support (up to 26° RISE) especially when the patient is lying in the prone position or facing down. A "Gas-Driven Damper Strut" is used on the "Lower Body (3rd & 4th) Section of Table Top" of the EU300 for Auto-Progressive Returning during therapy. This replaces the normally used "Recoil Spring" on other competing models. This feature helps to smoothly and safely reduce the gap between the stationary and floating sections. This means that the 3rd and 4th Sections will always stay afloat and not hitting the end of frame during therapy. At the end of a session, the Lower Body (3rd & 4th) Section will gradually return to its original position as the traction force decreases. The ET-800 (Optional) – Traction Head (Unit) can be placed facing the physiotherapist when the table is at the corner of a room. Or it can be placed facing the therapist when operating at the rear-end or when additional room space is available. All four corners of the EU300 are supported by 3” inch swivel castors, one at each corner. The frame is constructed by (a) 6 * 3cm + (b) 7 * 3cm Steel Tubes by the thickness of 2mm. • Equipped with 1 Motorized Actuator for Hi/Lo Adj. Note: The ET-800 Traction Unit (Head) shown in the picture herein is SOLD SEPARATELY.